Plan a meet-up with friends and support SAGE student scholarships and teacher grants! 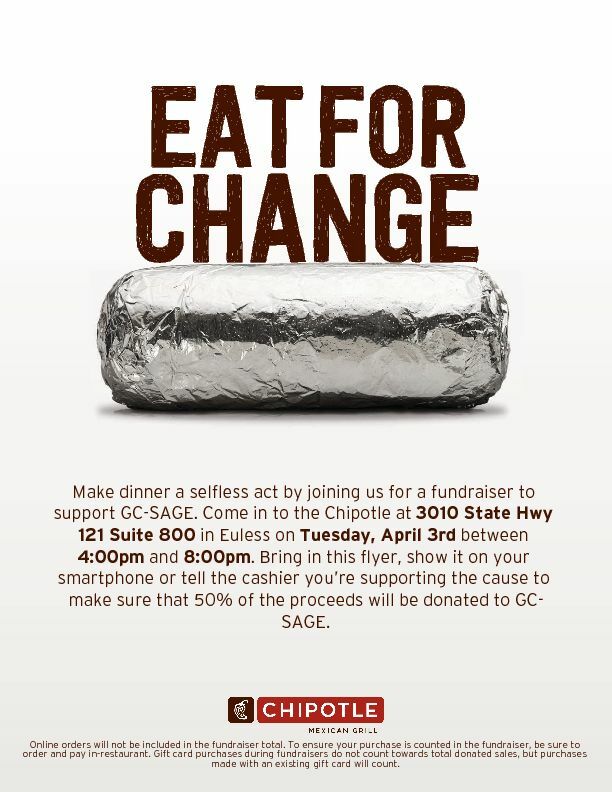 On Tuesday, April 3, between 4 p.m and 8 p.m., come to Chipotle on 121 and Glade Rd., and SAGE will receive 50% of proceeds. Show this flyer to the cashier.